For my dad's birthday, I decided to surprise him with this picture that was inspired by one of his favourite books "The Hobbit." 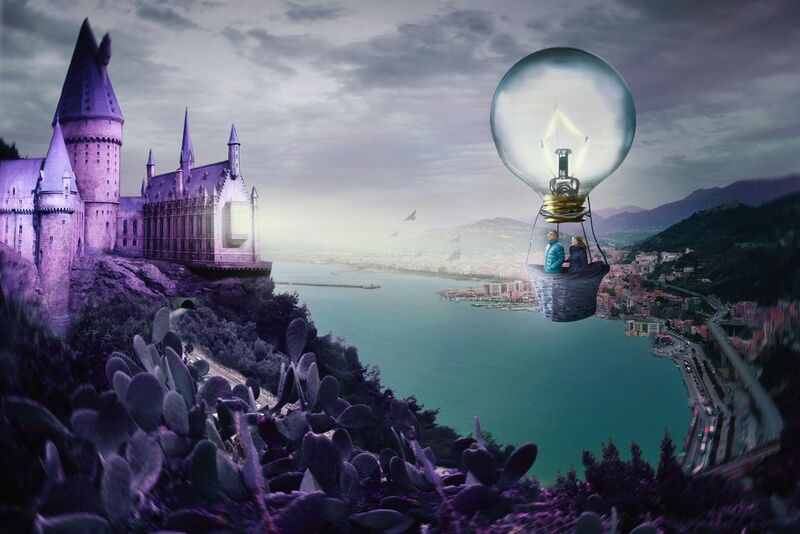 I thought I would put my parents on an imaginary hot balloon, as they travel the world, passing by magical locations such as the Hogwarts castle pictured here. Date Uploaded: May 8, 2016, 4:24 p.m.